1 x Solid Panelled door. 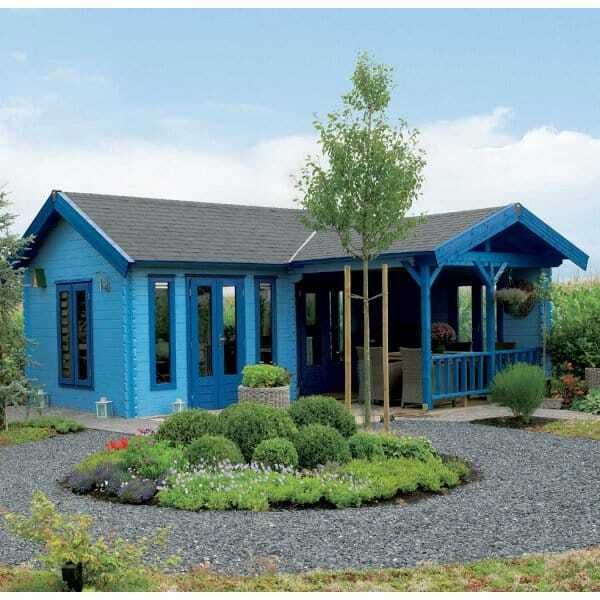 Lugarde Geneva Log Cabin: The Lugarde Geneva Log Cabin is a luxury log cabin with three rooms, this log cabin can be used as a garden office, an extension to the living area or even as an annex. The Lugarde log cabin has 4 casement windows and 5 fixed windows with ventilation grates providing lots and lots of much needed light inside the cabin. The Lugarde Geneva Log Cabin also has 2 double doors and 1 solid panelled door situated on the veranda making this an ideal spot to enjoy the winter sun.